Our product range includes a wide range of water eliminator. We are one-step ahead of our competitors in manufacturing and supplying of a qualitative array of electrical equipment. 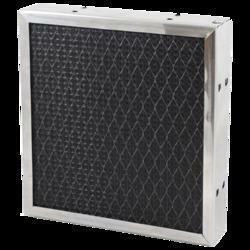 Now we are engaged in manufacturing and supplying a comprehensive range of Water Eliminator, which removes water particles in the single pass of air. These water eliminators are manufactured by supreme quality raw material which makes them more tensile and robust. Our range includes different types of water eliminators designed to completely eliminate free water particle. Water eliminators are highly appreciated by our clients throughout the country.